Q: How can I learn more about advance directives/advance care planning? 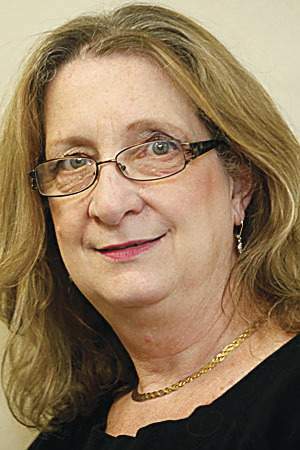 Cecelia Clayton, MPH, is the executive director at Karen Ann Quinlan Hospice. A proxy directive is a document you use to appoint a person to make healthcare decisions for you in the event you become unable to make them yourself. This document goes into effect whether your inability to make healthcare decisions is temporary because of an accident or permanent because of a disease. The person that you appoint is known as your “healthcare representative” and they are responsible for making the same decisions you would have made under the circumstances. If they are unable to determine what you would want in a specific situation they are to base their decision on what they think is in your best interest. You can also include a description of your beliefs, values, and general care and treatment preferences. This will guide your physician and family when they have to make healthcare decisions for you in situations not specifically covered by your advance directive. Ask questions about your care. Completely understand your medical condition. Accept or refuse any treatments. Make future decisions by completing an advance directive. If you have a life-limiting illness — you have the right to choose the hospice of your choice. Karen Ann Quinlan Hospice has ready-made packets with current Living Will information available at no charge. The packets can be picked up at the desk at the hospice office at 99 Sparta Ave, in Newton, or call the hospice at 973-383-0115, or at 800-882-1117 to have one mailed to you. More information will be available at the “Ask An Elder Law Attorney” seminar that will be held from 10:30 to 11:30 a.m., Dec. 8 at the Pike County Public Library in Milford, Pa. The event is free to the public and light refreshments will be served. Attendees will be able to ask questions about elder care, estate planning, living trust, last will and testament, advance directives and more. For more information, visit www.KarenAnnQuinlanHospice.org/Seminar. Here is a checklist to consider to plan ahead or if you need help now. Get to know end-of-life care services that are available, such as hospice and palliative care providers. The living will is a direct result of the Karen Ann Quinlan landmark case won by Joseph and Julia Quinlan in 1976 on behalf of their daughter, Karen Ann.